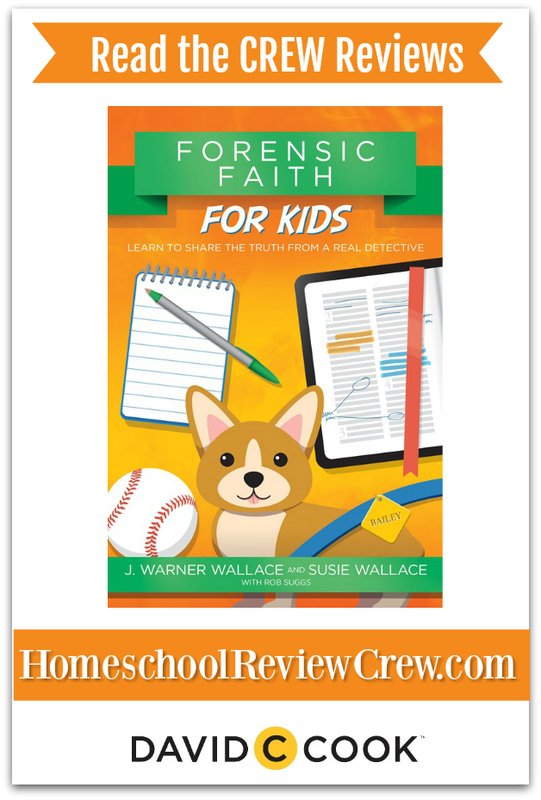 David C Cook along with Case Makers Academy sent me Forensic Faith for Kids for my 11-year-old to read and work through. I’ve included apologetics in our homeschool since we first started. My husband and I know why we are Christian and we don’t want our kids to grow to adulthood without knowing why they believe, too. I don’t think many people naturally are able to articulate rational reasons for much of anything, let alone an abstract concept like faith. I don’t think most adults ever develop critical thinking skills (more on that later), and I’m keen to develop them in my children. My kids seem to either love these books and devour them fast, or the book fails to capture their interest. Which was it with Forensic Faith for Kids? Our book arrived in the afternoon mail and I handed it to my son, only saying that a book came for him. He glanced at the cover, glanced again, took the book over to the couch, curled up with it, and read it cover to cover. So yes, it’s safe to say that he loved Forensic Faith for Kids. He isn’t the sort of kid who likes giving a loquacious book review, so he simply says that he liked the book and he thinks other people would also like it. 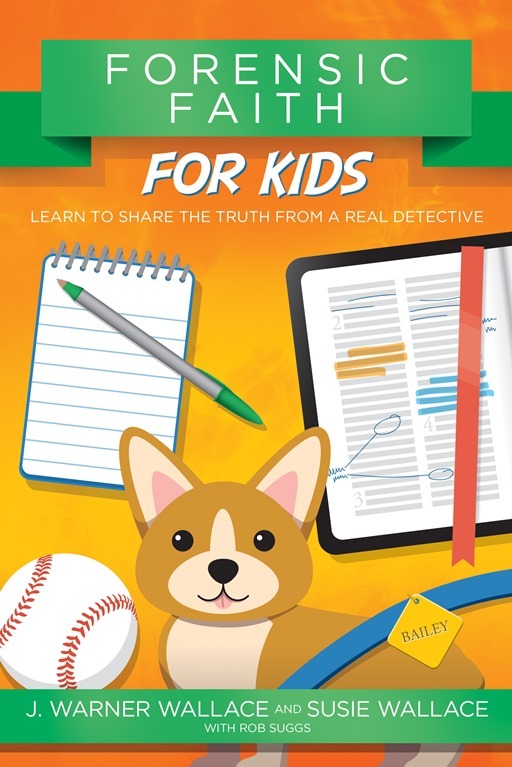 This book follows a story about a kids’ detective club that needs to solve a mystery about a lost dog, but interwoven within that is a story about a girl who doubts Jesus. It was written for ages 8-12, so my son is near the older end of the age spectrum for this book. I think it was really perfect for his age, even though he’s able to read at a much higher level. There are “grown-up” versions of these books available and my son told me that he would like to read those. He’s ready for those, so I will get them for him. I think that reading the kid’s version established a better knowledge base for him to build on when he reads the adult version. The adult version follows the same chapter sequence as the kid’s book my son read, so it would be great to read together or just have him “step up” to the adult book when he’s ready. This book teaches the difference between unreasonable beliefs and forensic beliefs (beliefs based on evidence). I’m a lawyer, and this type of rational analysis speaks to me. It’s so easy to believe something because someone told you so, then believe the opposite because a skeptic told you the opposite. If you do not have critical thinking skills, you are tossed about from belief to belief – and not just beliefs about Jesus, but about many things. How many times do we as homeschoolers see fad educational theories tossed about? The new thing is always the latest and greatest savior of education. A few years later “everyone knows” it’s bad and there is a new latest and greatest. The Case Makers Academy website also has accompanying videos, activities, and guides, so if you feel like you are shaky in your critical thinking skills, you’re not alone here. There is plenty of support for you to get started with helping your children (and maybe yourself) develop critical thinking skills. In short, I feel like these books are not to be missed. I’m scheduling the related books into our school schedule.